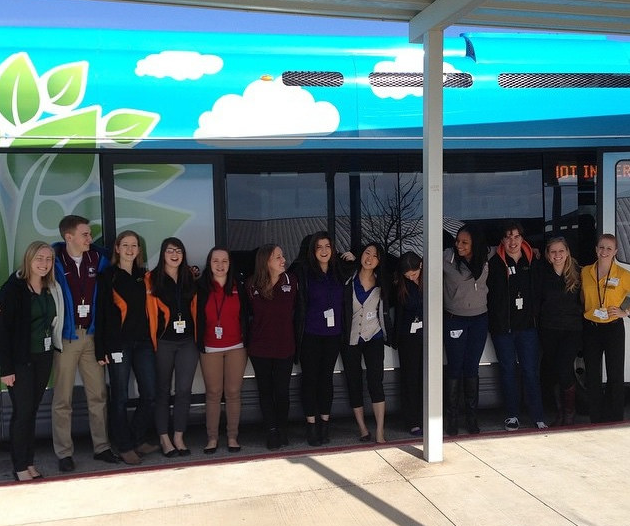 Fuel cell buses are the most flexible option available for zero-emission mass transit systems. Unlike other green transportation solutions, they can be operated just like diesel buses, but better. We've assembled seven aspects about fuel cell buses that you might not know. High Daily Range: With up to 400 kilometers (250 miles) between fill-ups, fuel cell buses offer a comparable range to diesel-powered buses. Performance: Whether accelerating on flat stretches or driving up an inclined road, fuel cell powered buses perform comparably to diesel-powered buses, allowing for flexible asset utilization. People like them: Passenger and driver comfort is noticeable and appreciated by all due to the reduced noise levels and smoother driving experience. That bodes well for both bus operators and the local community. Full Route Flexibility: Trolley-style and opportunity charging electric buses require a sizable investment in infrastructure and ongoing system maintenance for overhead power lines and en-route charging stations. Fuel cell buses are not bound to any required route infrastructure. Quick Refueling: To refuel a fuel cell bus it takes as little as seven minutes to fill up from empty to full. Since most buses don’t exceed 350 kilometers during a shift, at the end of the day when buses are returned to the “yard”, their tanks are refueled for the next day’s operation. Mature Technology: With more than ten years of operational experience and millions kilometers logged in revenue service, fuel cell buses are here to stay and continue to replace conventional diesel buses that create high levels of carbon and NOx emissions. 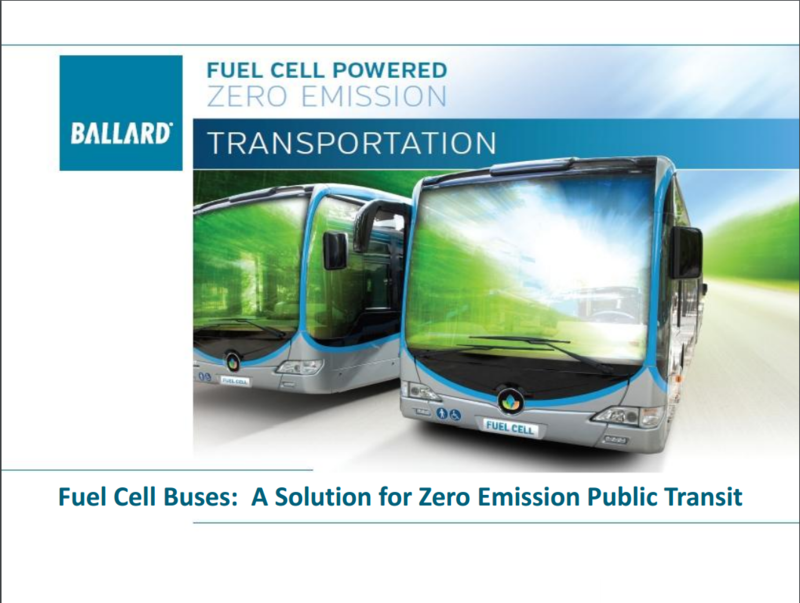 Don’t take my word for it: the U.S. Department of Energy’s National Renewable Energy Laboratory published their most recent annual report on the state of fuel cell buses in transit fleets demonstrating the achievements of deployed fuel cell buses in public transit systems. Reduced Costs: Several manufacturers offer fuel cell powered buses as part of their standard electric bus platform and the cost has been reduced by 75% since the days of the early fuel cell bus prototypes. Many of the technical advancements, including hybridization with batteries, have happened over the past few years to develop efficient hydrogen fuel cell technology for heavy-duty vehicle applications. As someone who is interested in this subject, perhaps you’d like to know more about this revolutionary technology and where the next fuel cell buses will be deployed. We have provided access to a presentation, "Reduce Greenhouse Gases by 25%" prepared by Ballard Power Systems. If you have any thoughts to share on this topic, feel free to post a comment below.